Opening Reception Saturday, 8/11 in Wardensville, WV! 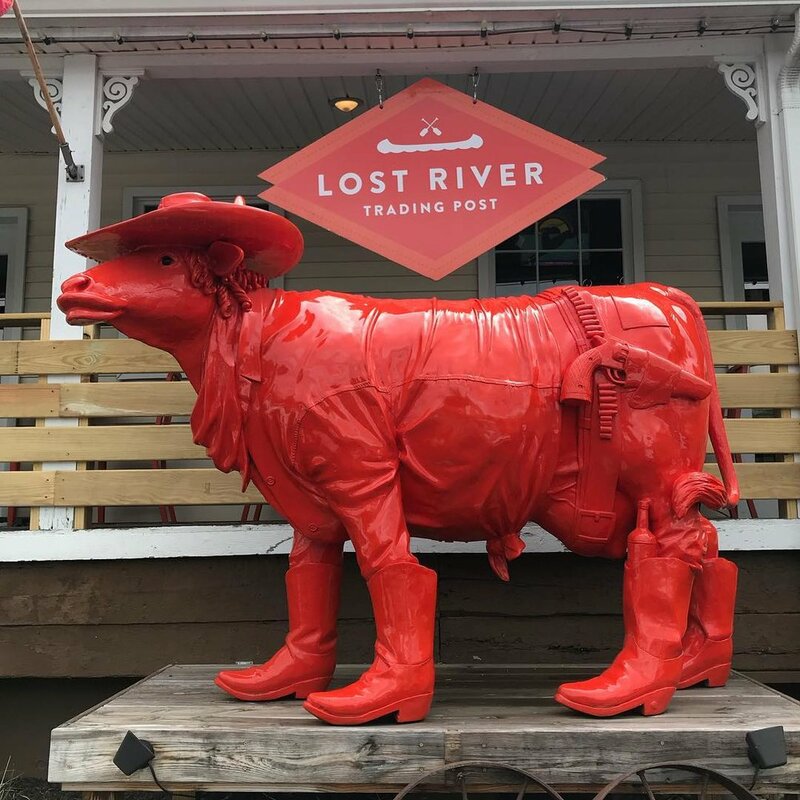 Please join me and the staff of Lost River Trading Post for the opening reception of my show Almost Heaven, Saturday, August 11, 4-6 pm, 295 E Main St, Wardensville, WV 26851. Most likely my last show of the year, Almost Heaven features my 2018 Landscape Series and also some Barns of Shenandoah Paintings. Most of the landscapes are new and have never been shown before, so this is a great opportunity to visit the beautiful Potomac Valley of West Virginia and catch up on my latest works! As mentioned before, it has been an extremely busy summer, both in painting and exhibiting! I exhibited in five solo exhibitions and one three-artist show, produced thirty paintings and sold twenty-two! Here is a summary of the concepts behind my work of 2018. The 2018 Landscape Series is a collection I am so excited about because these are a joy to create! Never knowing exactly what will come out of a painting session, I watch each canvas come to life on it's own, springing from the inspiration of remembered landscapes. Starting only with a general concept, I use intuitive and reactive mark-making, until a composition is achieved that conveys the atmospheric colors and light of the landscape. I also want to communicate the energy of living things. The underlying anxiety of the conflicts between man and the natural world is also evident in the paintings. Sometimes man and nature get along well together, often not, but there is always a co-mingling. Included in the 2018 Landscape Series is High Red Clover, The Tangle, and Solstice 2. Barns of Shenandoah: The first (and most figurative) paintings in the project depict the meteorologic perils that affect our historic barns. These are cathartic compositions in oils, but there are also some cheerful paintings that include "Seeing the Light" in their titles. Some paintings included in this group are The River Hath Saved Me, Consummation, and Seeing the Light. Barns of Shenandoah: Returning to Nature: The second group, completed in acrylics, is where I begin to use iconic barn shapes to contrast with the natural forms of trees, grass, and fire. These natural elements are reclaiming the building material that was once alive (wood) for their own sustenance. Some paintings included in this group are Returning to Nature and The Burning. Barns of Shenandoah: Resurrection: I am currently working on the Resurrection series, and continue to superimpose iconic, barn shapes over lush, abstract, expressionist landscapes in oils. Each different way to do this presents more fodder for exploration and expression. Here I am dealing with the concept of Disappearing. But in the end, the message in the title is hopeful, that we will be able to save some of these historic reminders of the hard-working pioneers of Shenandoah County, VA. Early farmers struggled to survive and prosper--both at odds and in cooperation with Nature. Some paintings included in this group are And She Rises, Returning to Nature 2, and Resurrection 2. We are, after all, a part of Nature. But we are also distinctly apart from it, as evidenced by the massive footprints that man is leaving on the earth and our spiritual lives. My hope is that, in the end, Nature wins. With my paintings, I attempt to communicate the complicated relationship of man and nature. And finally, in wishing to save the historic barns, I come full circle. I am acknowledging that these man-made structures were created from nature's trees, and that nature is determined to reclaim them. In helping the barns to survive, I feel a reconciliation of our natural and supernatural, human aspects. Wardensville, WV is a 2 hour drive from Washington DC, and only 45 minutes from the center of Shenandoah County: Woodstock, VA. Hope to see you there! The show runs until September 11, 2018. Solstice 3 by Sally Veach, Oil on Canvas, 30" X 40"